GC Immigration Working Group: Event on Monday, November 12th: "Several Ways to Die in Mexico City"
Event on Monday, November 12th: "Several Ways to Die in Mexico City"
Looks like a fantastic event. 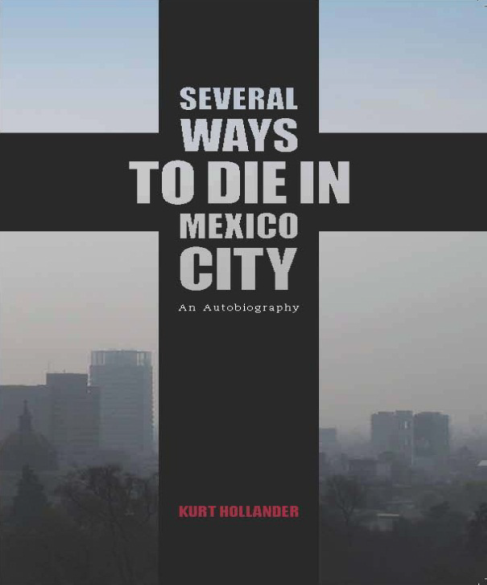 "Several Ways to Die in Mexico City"
The lecture will discuss the relationship between death and mega-cities in the developing world (using Mexico City as an example), how globalization is changing this relationship, and its effects on local culture. Kurt Hollander is originally from NYC but has been living in Mexico City for the past 23 years. He is a writer (London Guardian, The Ecologist, NY Times, LA Times, Letras Libres), photographer, filmmaker (Carambola), magazine editor (the Portable Lower East Side, Poliester) and translator. He is the author of Several Ways to Die in Mexico City, an autobiography published by Feral House (Fall, 2012). This event has been organized by the Center for Latin American, Caribbean, and Latino Studies at the Graduate Center, CUNY and is co-sponsored by the Institute of Mexican Studies at Lehman College, CUNY.